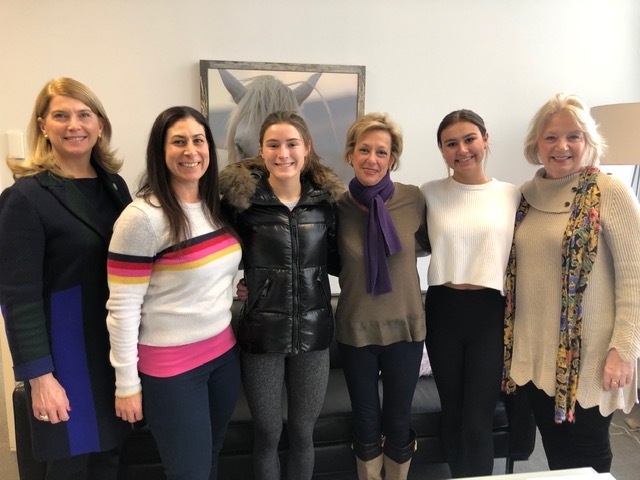 February, 2019 has been proclaimed “Teen Dating Violence Awareness and Prevention Month” by Darien First Selectman Jayme J. Stevenson, who urged Darien residents to work together to eliminate dating violence from our community. “Teens especially high school age do not realize that most of the times they are in relationship problems [is] due to them being unaware what mental abuse can do to them,” said Emma Cavoli, co-president of Respect Works, a group of high school students trying to educate the public and their peers about violence in teen relationships. Respect Works will be at Darien Ice Rink Wednesday afternoon to bring awareness to Teen Dating Violence Awareness and Prevention Month. Made up of both males and females, Respect Works meets monthly at the Depot Youth Center. The Darien Domestic Abuse Council mentors the group. Both groups believe the more people, including teenagers, that they can educate about domestic abuse, more will come forward. “Respect Works is very passionate about healthy relationships and promoting an end to teen dating violence,” said Katie Elders, co-president of the group. One in three adolescents in the United States is a victim of physical, sexual, emotional or verbal abuse from a dating partner; and only 33 percent of teens who are in an abusive relationship ever tell anyone about it, Respect Works said in a news release. —Everyone has a right to a safe and healthy relationship and to be free from abuse. and urge our citizens to work together to eliminate dating violence from our community.